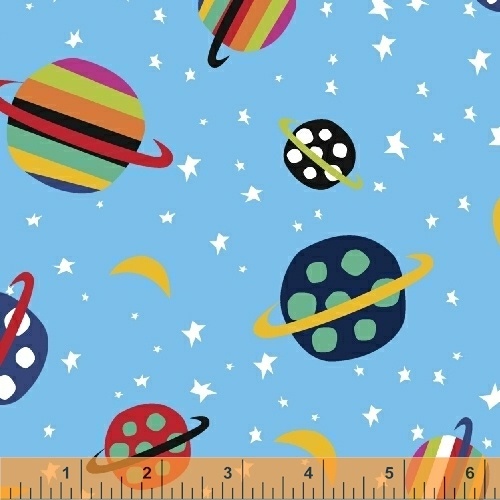 Jan Avellana is out of this world excited to share with you 'Aliens', her second collection with Windham Fabrics! Wacky aliens explore the Universe as they zoom past undiscovered planets. Jan�s two zany sons, Seth and Cody, were a huge inspiration for this fun and classic kid�s collection. 15 Skus. On sale January 2017. Delivery to stores August 2017.